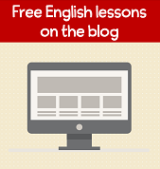 This Learn English ESL free video lesson is based on a TED Talk by Joshua Silver. I just purchased some eyeglasses and I was astonished at the price. Yes, they have progressive lenses and are protected from scratches, etc. But still! I wouldn’t be able to afford them without good health insurance. If prescription glasses are this expensive in the United States, what about people in poor countries? Do they even have access to vision care? 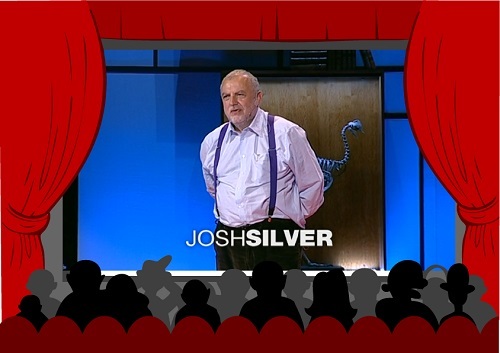 In this short video lesson, Joshua Silver provides some answers. Click the arrow in the picture to watch the video. I'd like to start with a little experiment. Could you put your hand up if you wear glasses or contact lenses, or you've had laser refractive surgery? Now, unfortunately, there are too many of you for me to do the statistics properly. But it looks like -- I'm guessing -- that it'll be about 60 percent of the room because that's roughly the fraction of developed world population that have some sort of vision correction. The World Health Organization estimates -- well, they make various estimates of the number of people who need glasses -- the lowest estimate is 150 million people. They also have an estimate of around a billion. But in fact, I would argue that we've just done an experiment here and now, which shows us that the global need for corrective eyewear is around half of any population. You can also watch the video on TED's website. To learn more about Joshua Silver’s work click here.